Liminal: Relating to a transitional or initial stage of a process, or occupying a position at, or on both sides of, a boundary or threshold. LIMINAL builds on my interest in imagery that sits in an in-between a state of emergence and realisation. 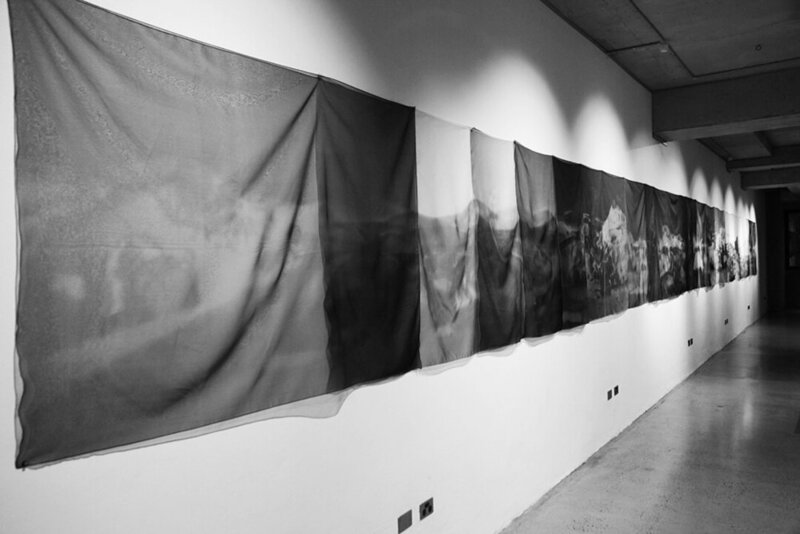 The series of photographs and textile panels proposes an encounter with the liminal image in construction, where there is an exploration and interaction with the blurred boundaries between the real and imaginatively unreal. 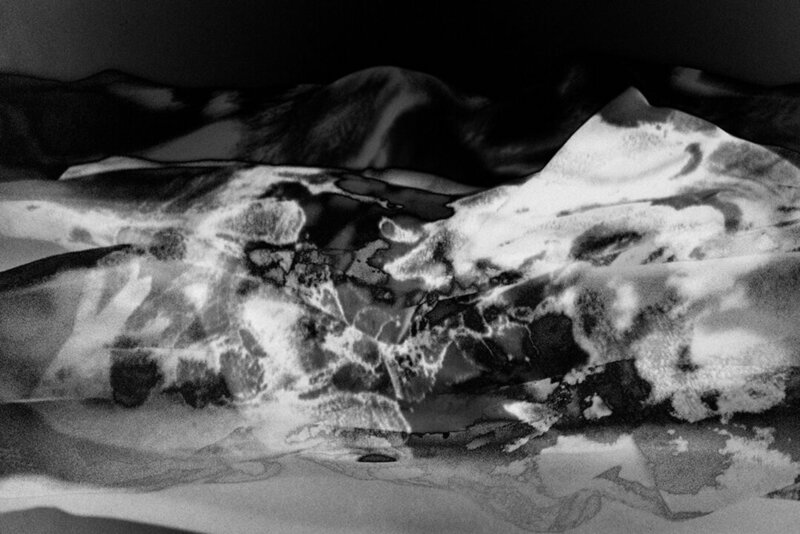 These are images in a process of slow and gradual emergence. 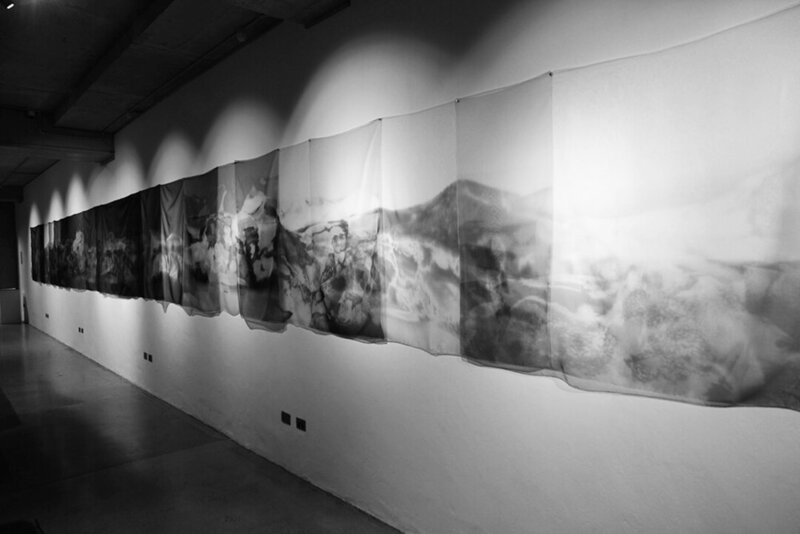 The photographs and photographic textile installation depict an abstract landscape composed of marks and gestures that are indeterminate and indefinable, embodying bodily forms and contours as well as vast panoramic gestural landscapes. The works aim to engage the viewer in a visual dialogue and question what this in-between liminal space between the body and landscape is? And how are we interacting with the scene that is unfolding? 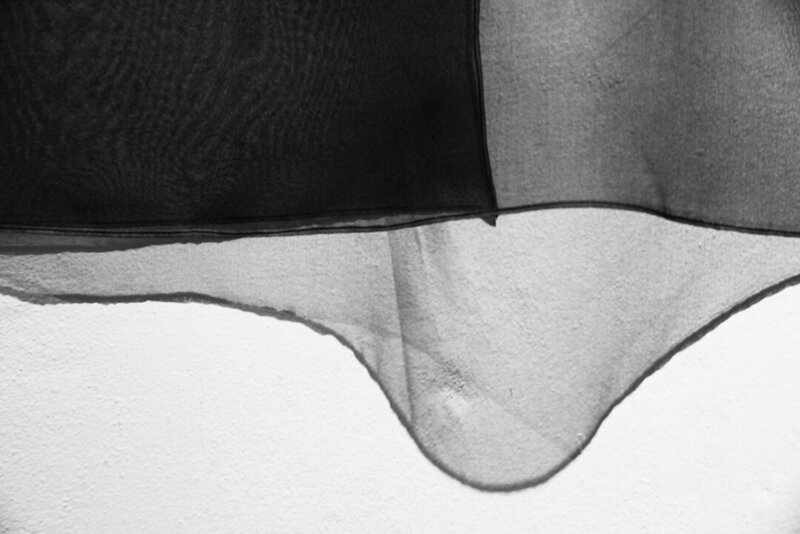 My intention is for the exhibition of works to act as a photographic installation, a subtle disruptive intervention within the spatial setting of the gallery, facilitating an ‘encounter’ with the poetic bodily landscape. The exhibition thereby provides an opportunity for the viewer to participate in a moment of temporary imaginative reflection and engagement with the imagined liminal image.